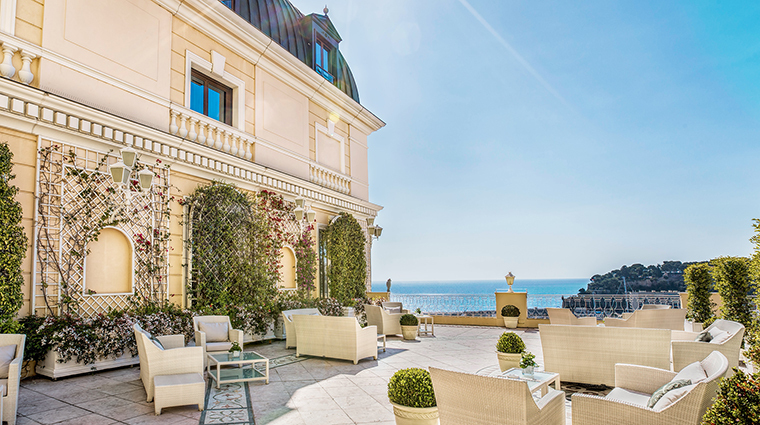 A beautiful edifice facing the Mediterranean Sea and situated on the prestigious Place du Casino, Hôtel Hermitage Monte-Carlo has hosted guests in Monaco for well over 100 years. 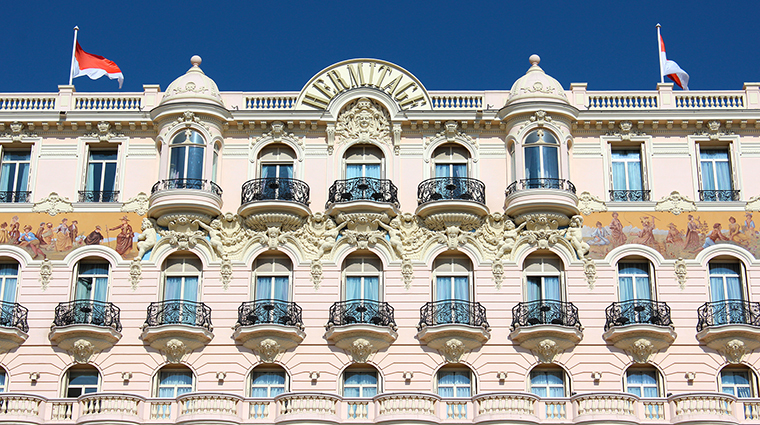 A perfectly preserved example of Belle Époque architecture, the hotel is a piece of history. (Its winter garden with its colorful dome was designed by Gustave Eiffel, after all.) The artwork is original. The cuisine is world class. 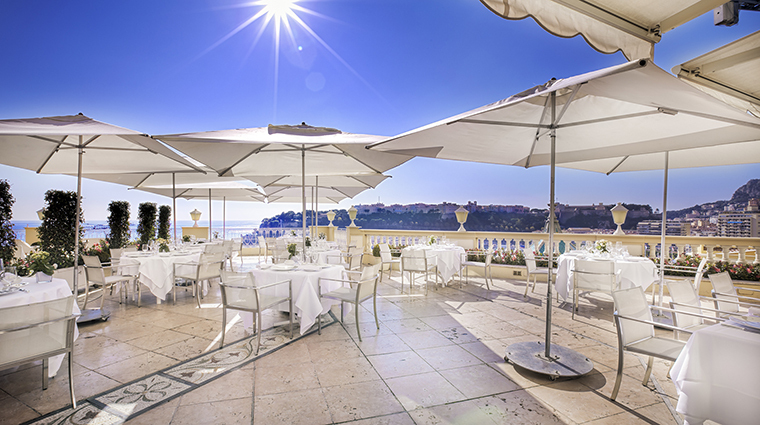 • Perhaps as outstanding as the cuisine at Le Vistamar is the view that lends the restaurant its name: an elegant, Old World terrace overlooking the Mediterranean is open in the warmer months. 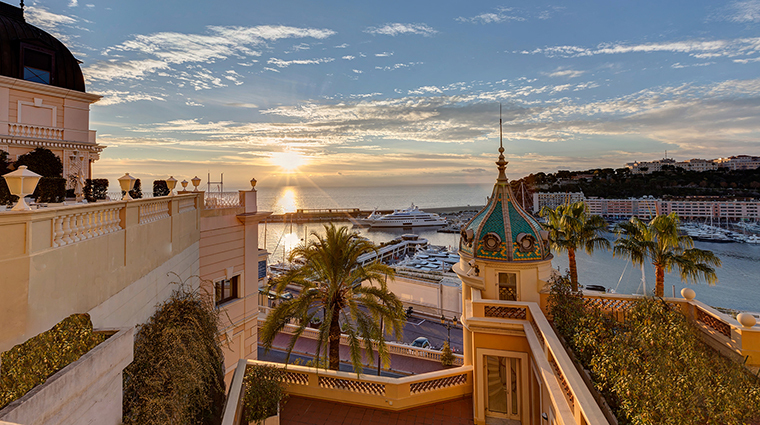 • Combining a luxurious sea-side facility with cutting-edge technology, Thermes Marins is a resplendent spa offering classic facial and body services along with anti-aging (cryotherapy cold chambers) and slimming technology (ultrasound treatments). 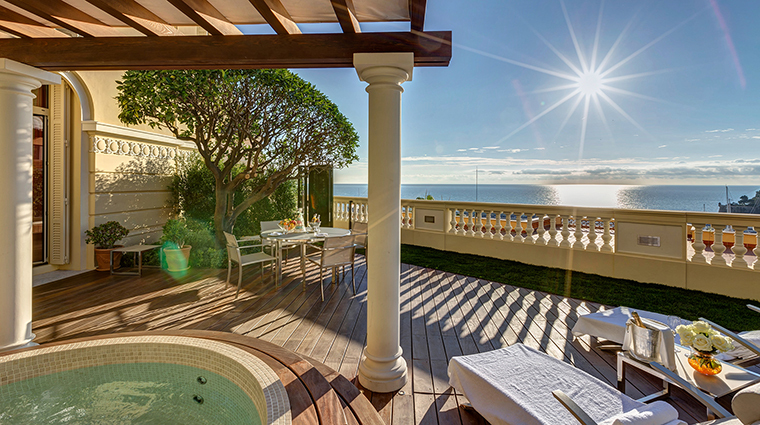 • Show off your glistening new features with a stop at Monte Carlo Beach Club, a pristine private stretch of sand with beach cabins, sun lounges and gourmet snacks served to your deck chair. 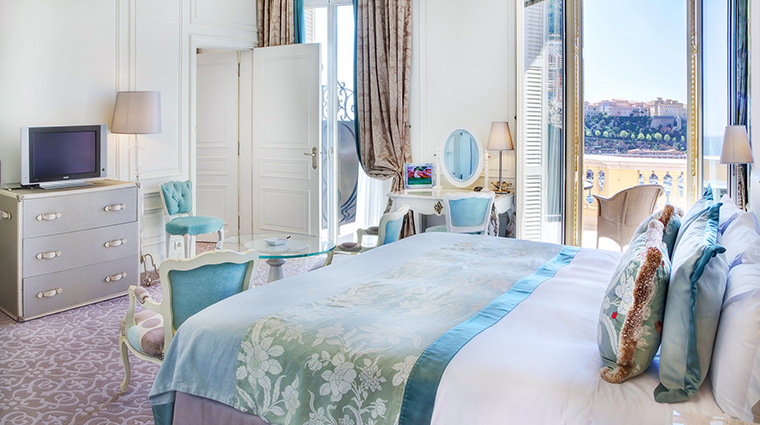 • The area has some of the best beach weather in Europe — this part of the Mediterranean is inviting from April until October — with little rain and lots of sun, so take advantage of the fabulous climate in style at the Monaco hotel. 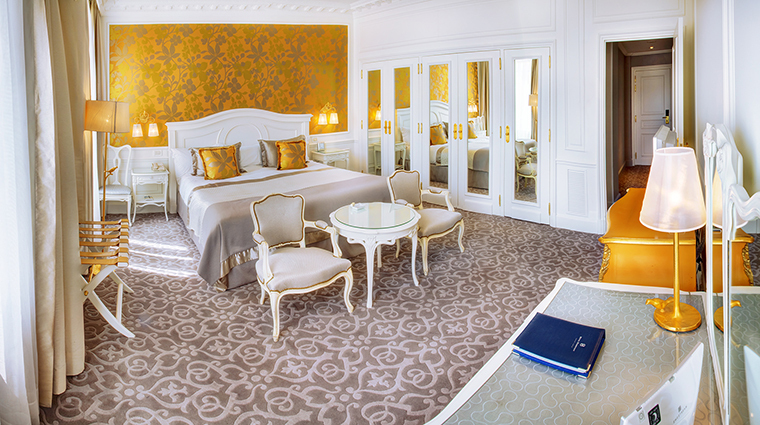 • The Diamond suites are the ultimate luxury, with a separate lounge area, a water vista and a terrace with a Jacuzzi. 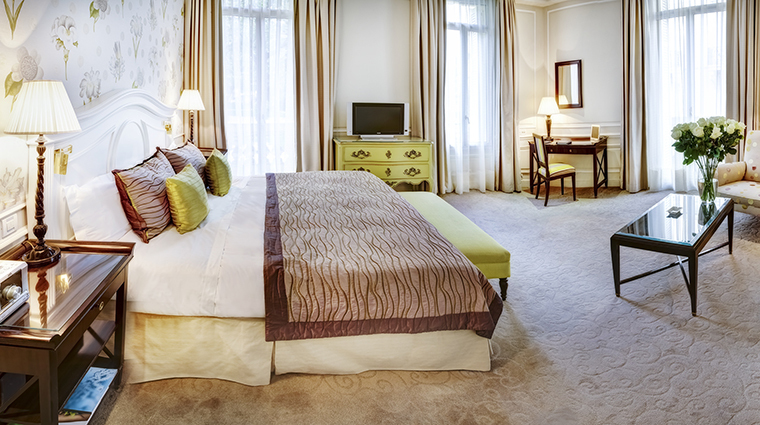 These units offer Bulgari amenities and candles, fresh flowers and limousine transfers to the beach and casinos. 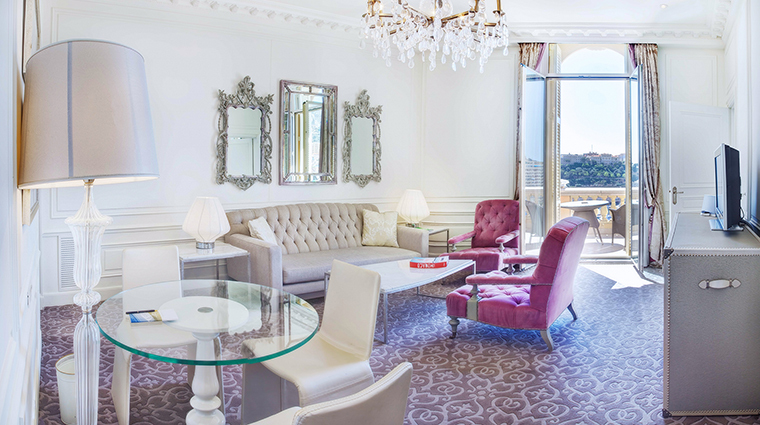 • Although sophisticated, the Monte Carlo hotel adores children and even welcomes small dogs, ensuring that no one in the family misses out on the trip. 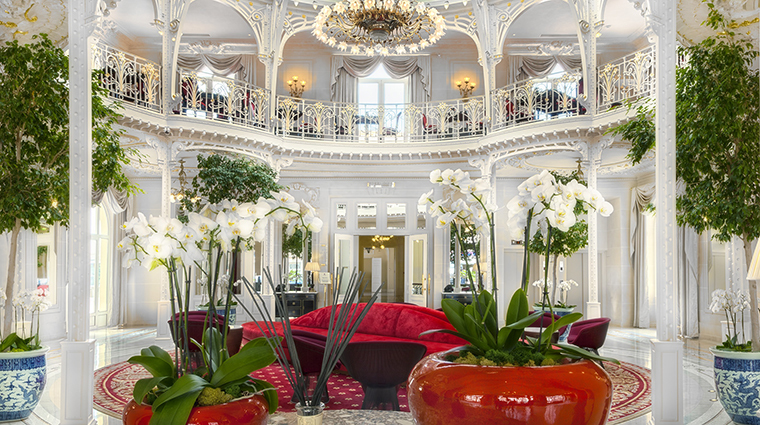 • If it’s quality coffee in a tranquil lounge that you’re after, Le Limùn is a stunning lobby café with comfortable sofas, orchids and a menu filled with beverages and house-made pastries. 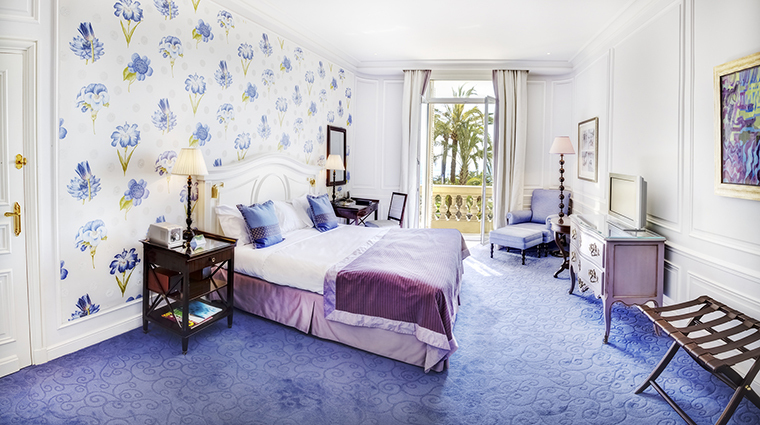 • Hotel guests have access to Thermes Marins Monte-Carlo, a spa that’s unique both in its size and range of treatments. 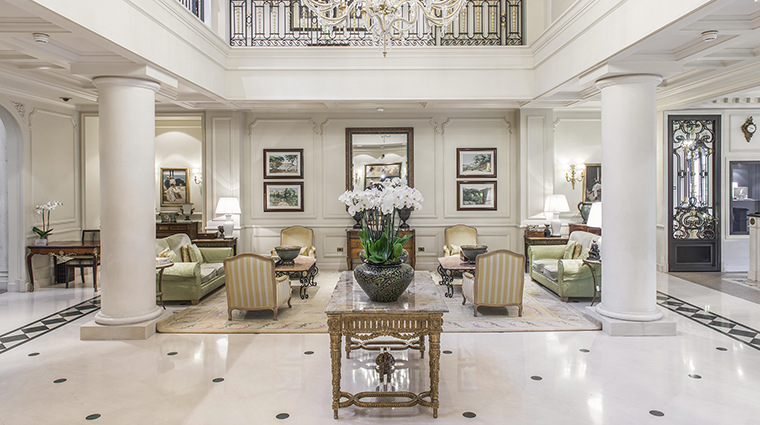 This sanctuary provides more than 75,000 square feet of decadent space. 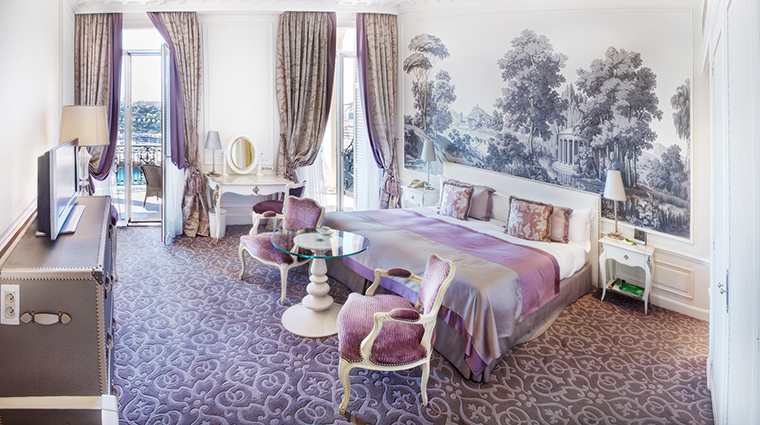 • The 278 opulent rooms and 22 suites are decorated in nautically inspired hues and earthy tones. 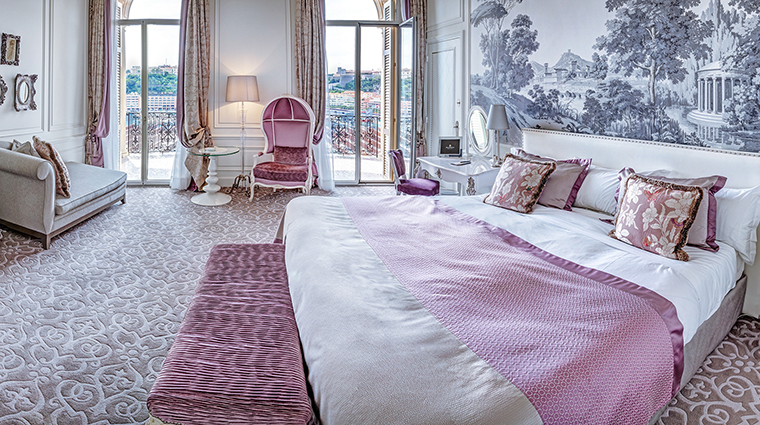 • The relaxing color palette complements the rooms’ spectacular view, which could be of the sea, the town or the garden. 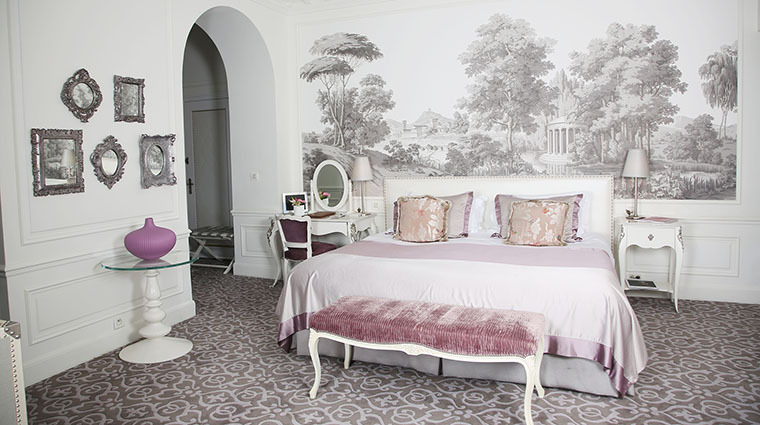 • The furnishings keep with the classic French décor of the rest of the luxury hotel: comfortable, understated and elegant. 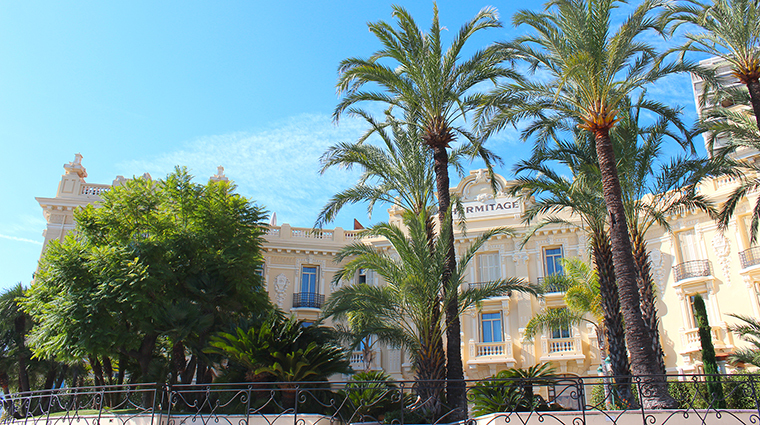 • Le Vistamar is Hôtel Hermitage Monte-Carlo’s destination restaurant. 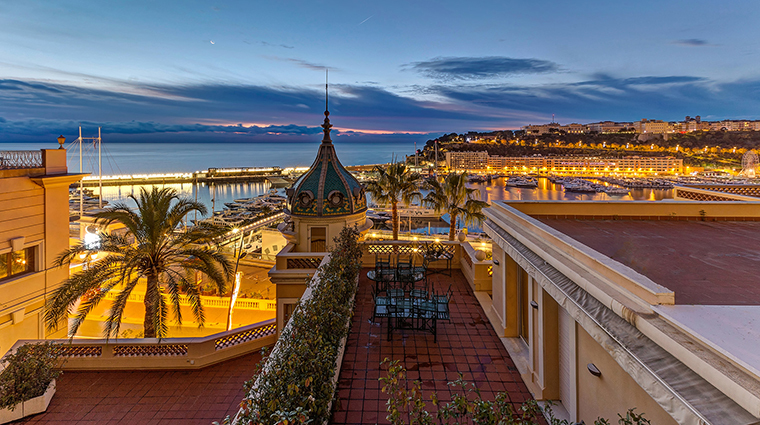 The menu is inspired by a “One fish, one vegetable, once cooked” mantra that appears to encompass the fresh and seasonal food culture of Le Vistamar and, indeed, Monaco itself. • Locally caught seafood is the feature at the signature eatery, although outstanding meat dishes, such as the celebrated rack of lamb, are also on offer. 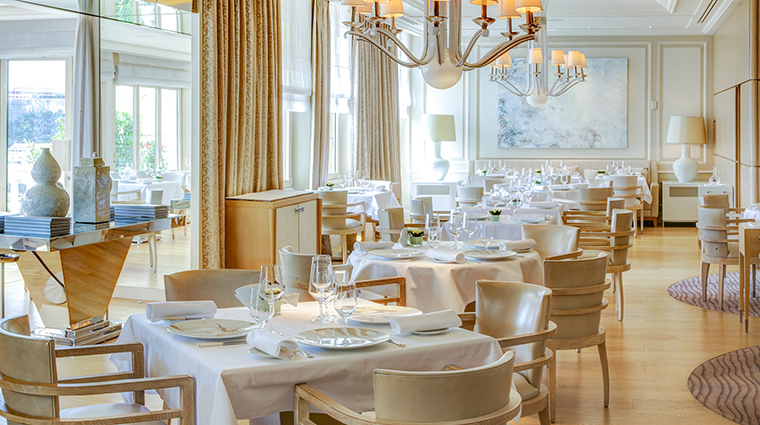 Other notable items include the turbot, housemade ravioli and fresh bouillabaisse. • Chef Benoît Witz puts an emphasis on fine desserts, and the sweet soufflés are known far and wide for their excellence. Exotic flavors such as Grand Marnier and strawberry make the treats a memorable experience. 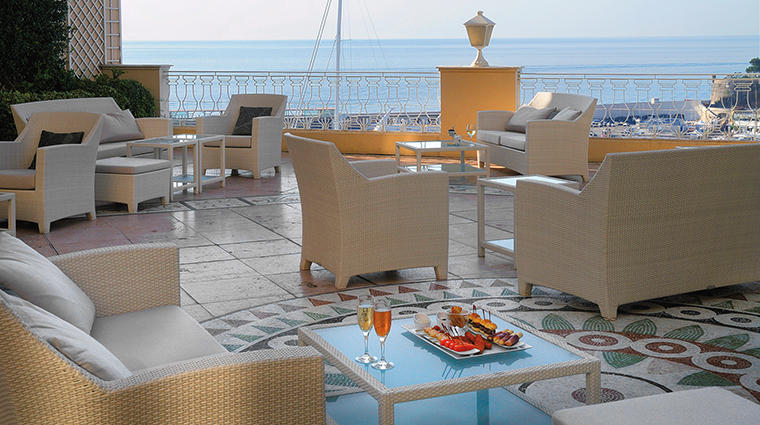 • The Crystal Bar is where to go for after-dinner drinks. 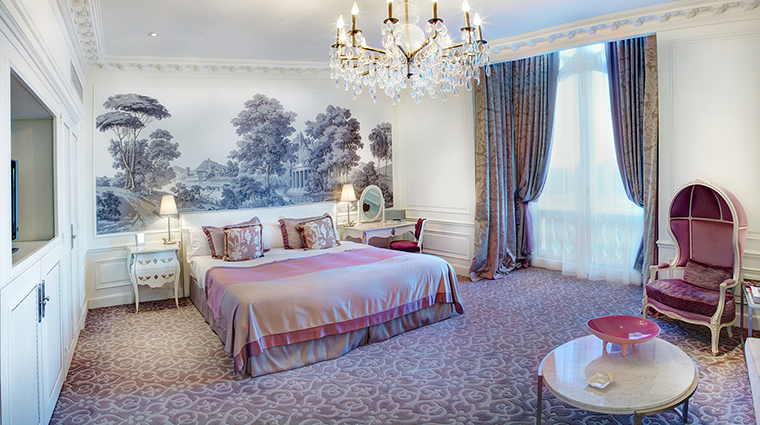 This stylish area serves a selection of Premier Cru champagne and fine cocktails, as well as oysters, caviar and even Ladurée macaroons.